Yay! After a long four year wait, the World Cup is finally here again! I plan to spend most of the next month pretty much glued to the TV, but I promise to take a break here and there to share with you some of the World Cup themed digital papers I've been working on. 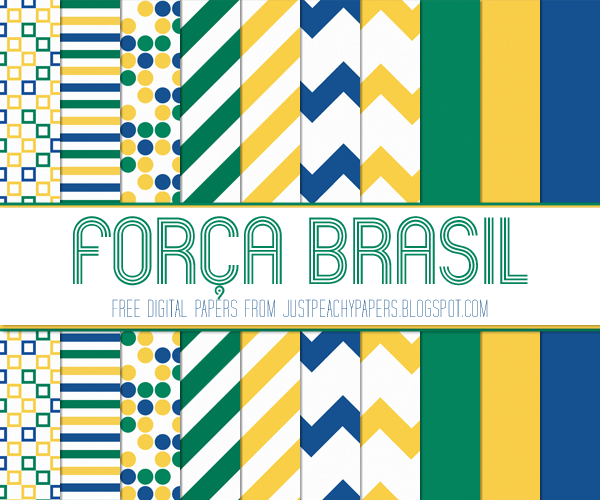 This first set in the series - 10 12x12 inch papers in yellow, blue and green - is in honor of the host country Brasil.